What's cooler than spinning gears and thick rubber? By matching a gorgeous photograph of a classically styled bicycle with contemporary design elements, this graphic builds up some serious street credibility. It features a background of blue dots with a single stripe of tan paint, which adds some contrast behind the darkened silhouette of the bike. There's plenty of room for text or other additional elements if you're ready to personalize the image. 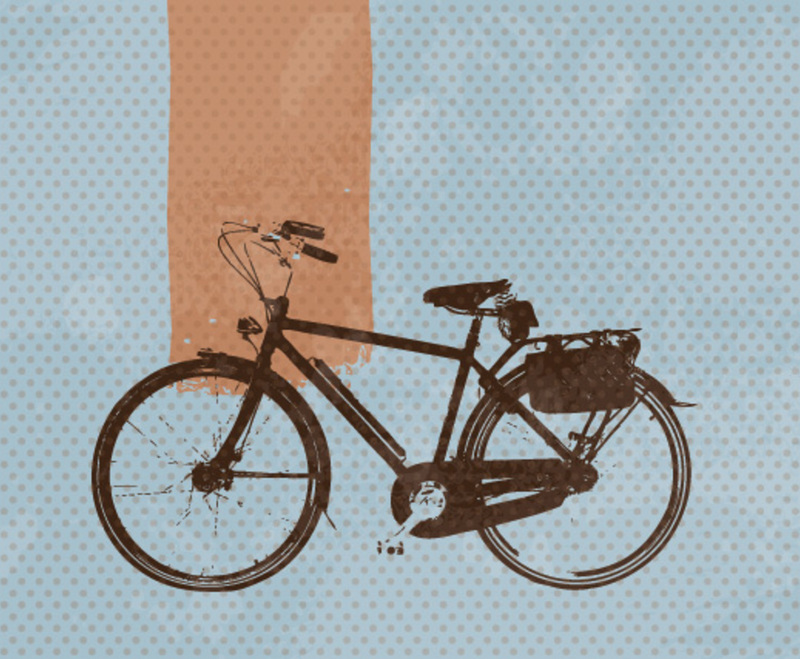 This graphic has a serious art-school vibe thanks to the pop-influenced lithographic style, and the bike's broad, dark outline makes a powerful impression. It's a perfect background for a website, event announcement, or product release.